Manhattan College ITS Blog: Tips for Shopping Safely Online - Even on Black Friday! Tips for Shopping Safely Online - Even on Black Friday! In 2016, for the first time ever, shoppers bought more online than in stores. All Internet-connected devices are vulnerable, especially when being used for purchases. You need to be aware of ways to protect yourself as you shop online. Lock down your login. One of the most critical things you can do in preparation for the online shopping season is to fortify your online accounts by enabling the strongest authentication tools available, such as biometrics, security keys or a unique one-time code through an app on your mobile device, lastpass.com is a recommended site. Your usernames and passwords are not enough to protect key accounts like e-mail, banking, and social media. Keep clean machines. Before searching for that perfect gift, be sure that all web-connected devices—including PCs, mobile phones, smartphones, and tablets—are free from malware and infections by running only the most current versions of software and apps. 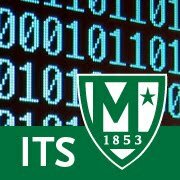 Please review this Manhattan College Knowledge Base Article: Basic Malware Removal. Get savvy about Wi-Fi hotspots. If you are out and about, limit the type of business you conduct over open public Wi-Fi connections, including logging in to key accounts, such as e-mail and banking. Adjust the security settings on your device to limit who can access your phone. Partially re posted from: November 2018: Shop Safe Online, Even on Black Friday!